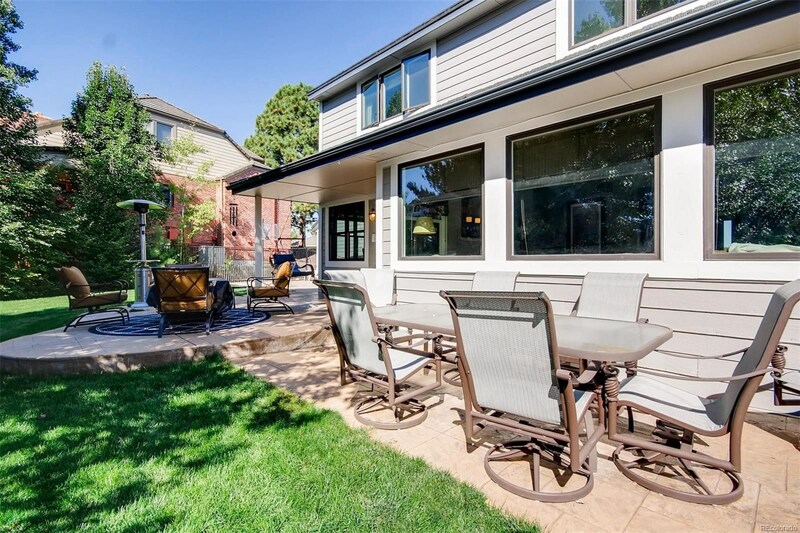 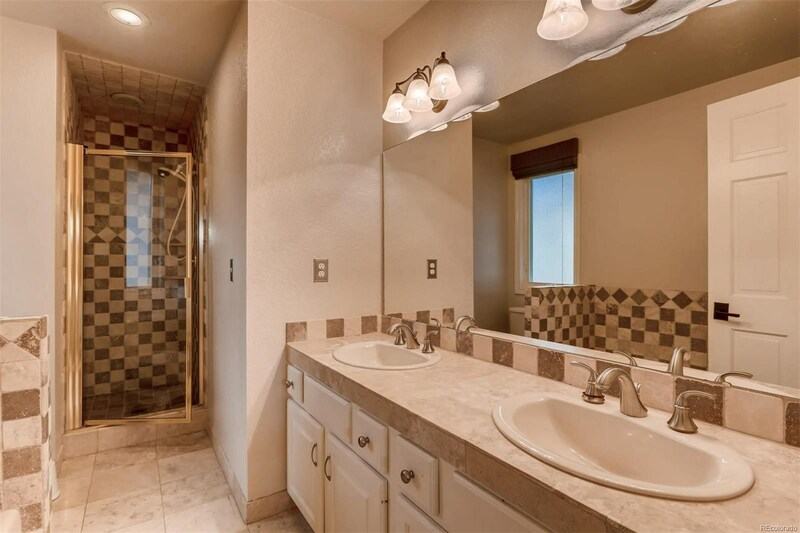 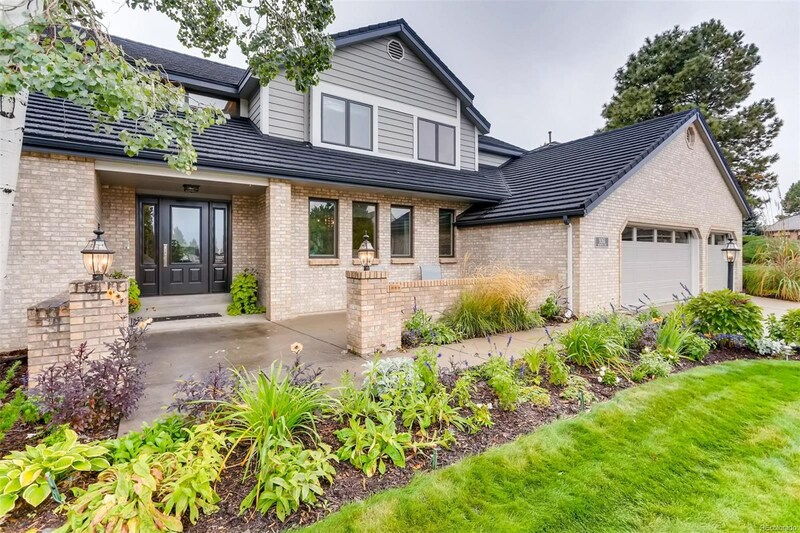 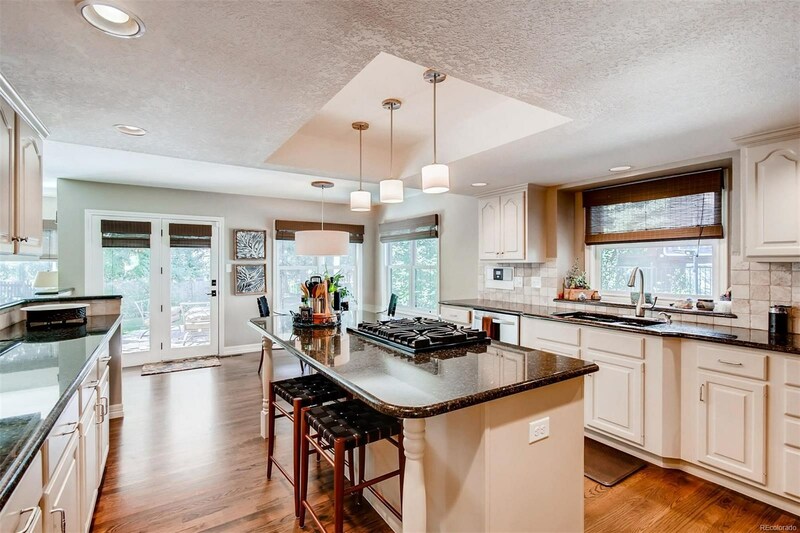 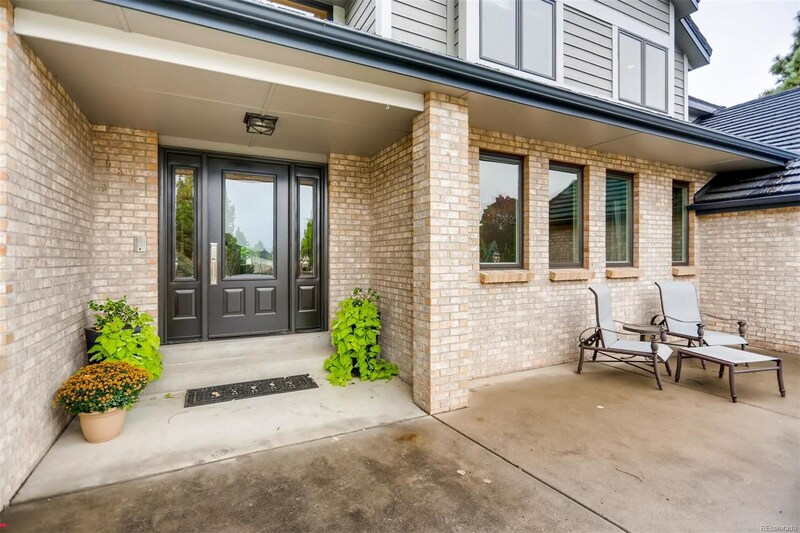 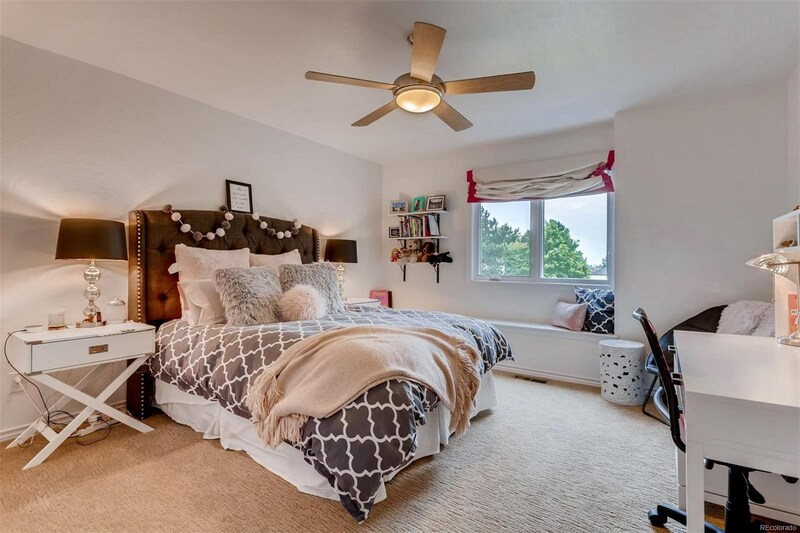 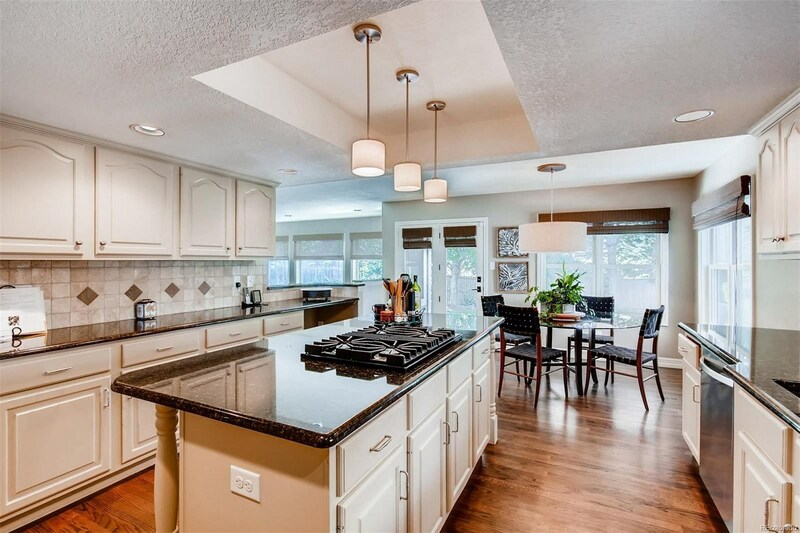 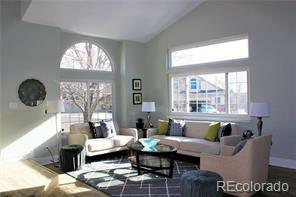 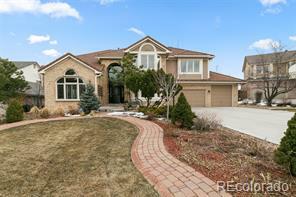 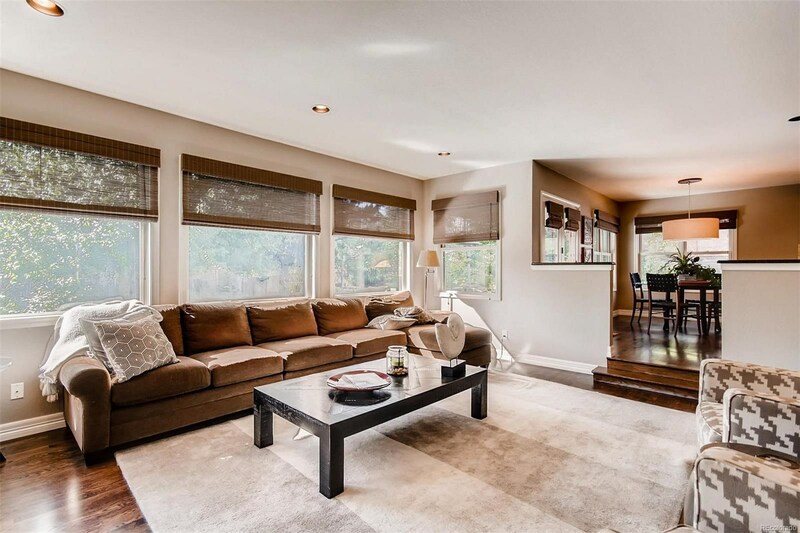 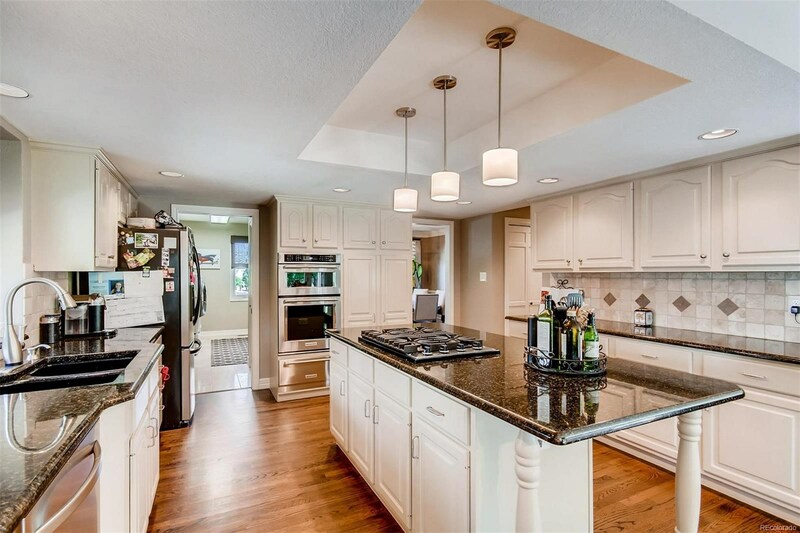 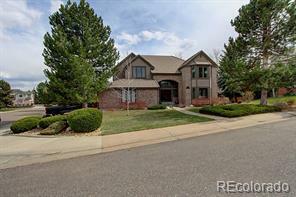 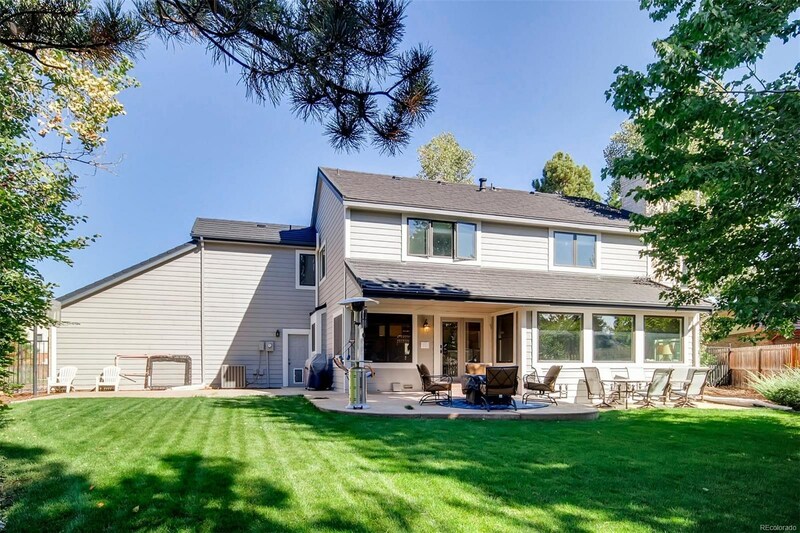 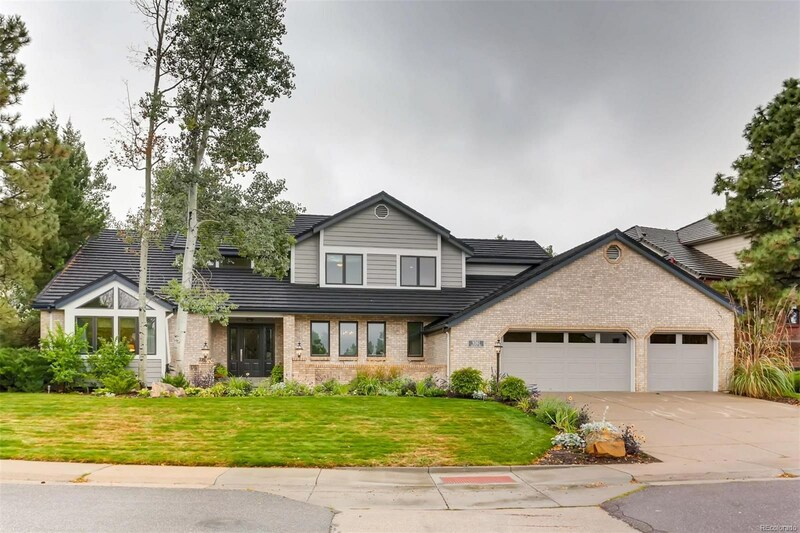 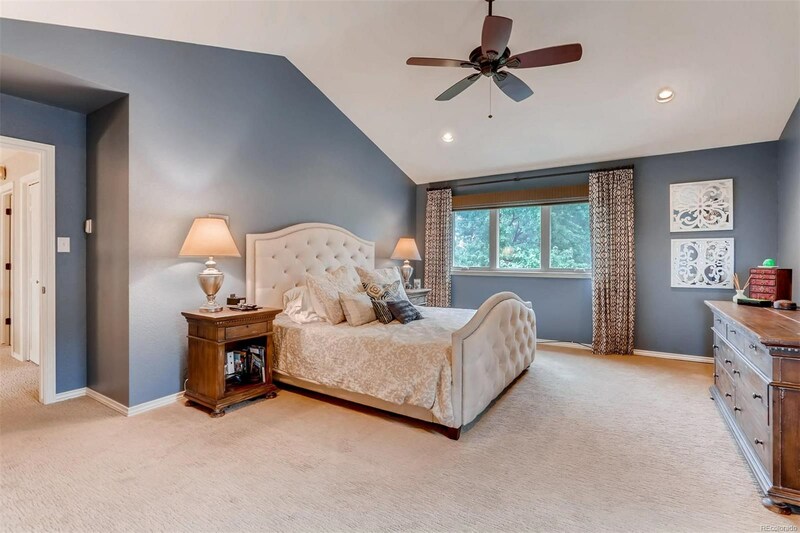 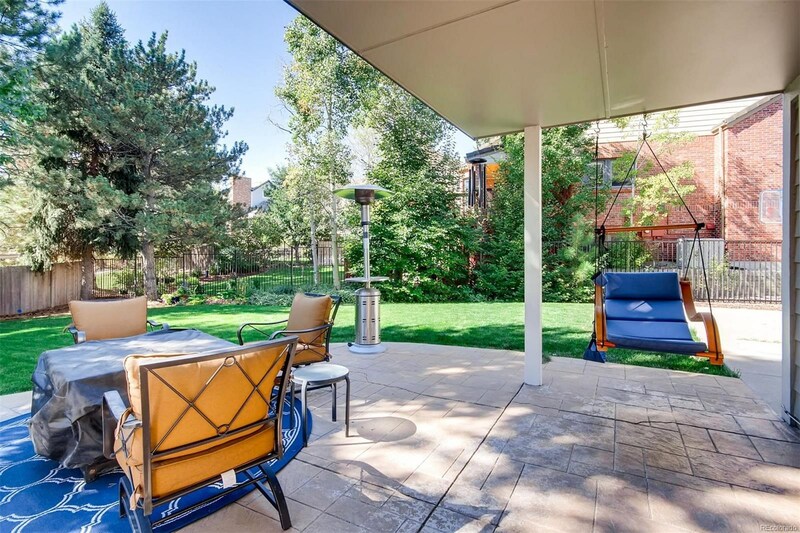 Feel instantly at home in this beautifully updated 5br/3.5ba home in Lone Tree. 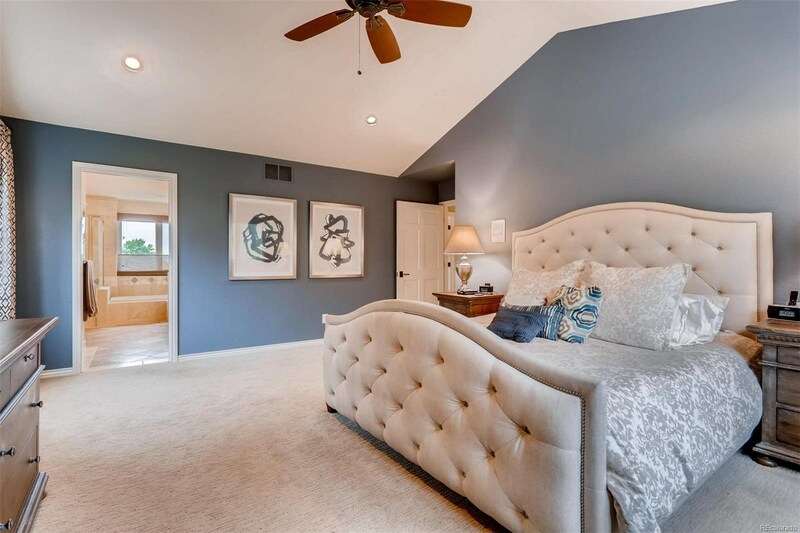 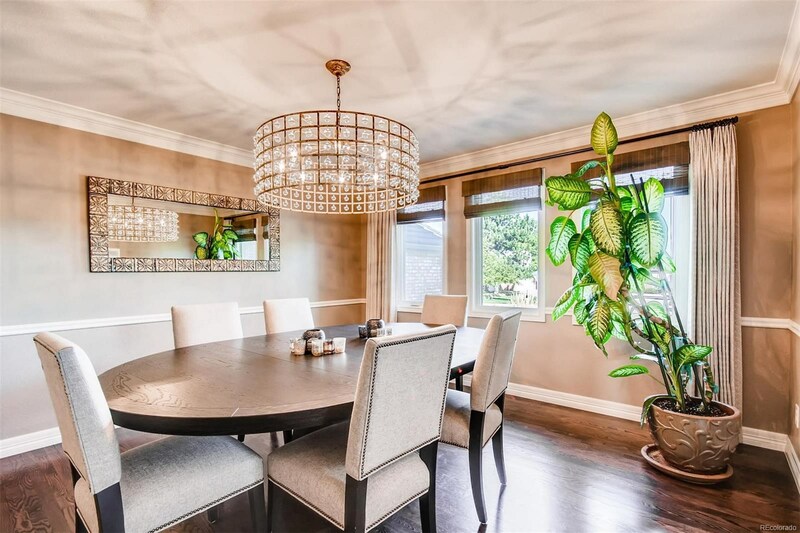 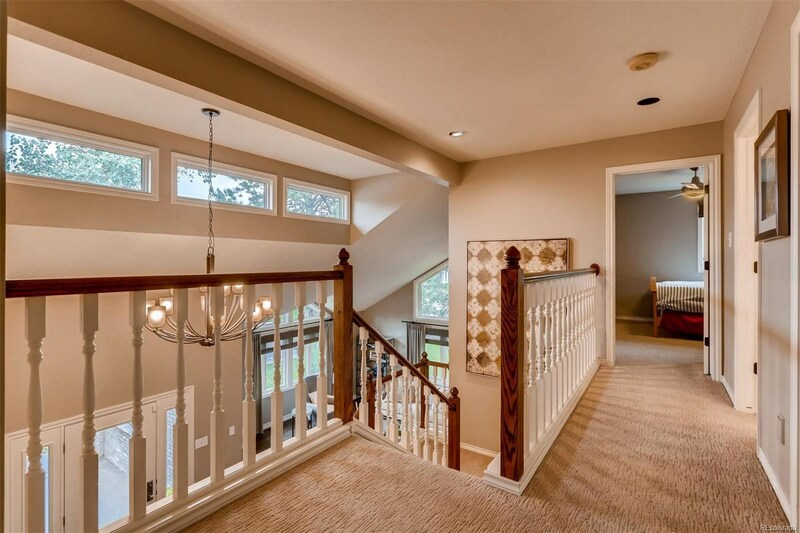 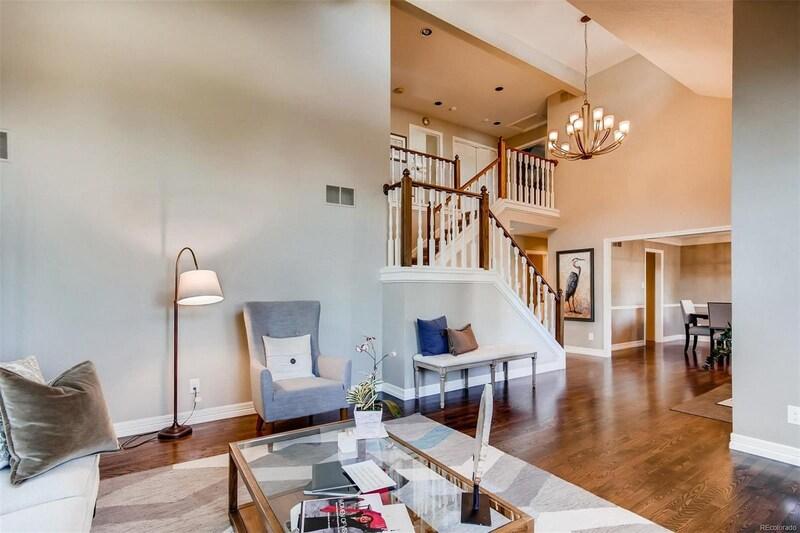 On a quiet loop near Lone Tree Golf Club and school options, the formal dining/living room offer a great first impression from the foyer with a modern glass chandelier and soaring ceilings. 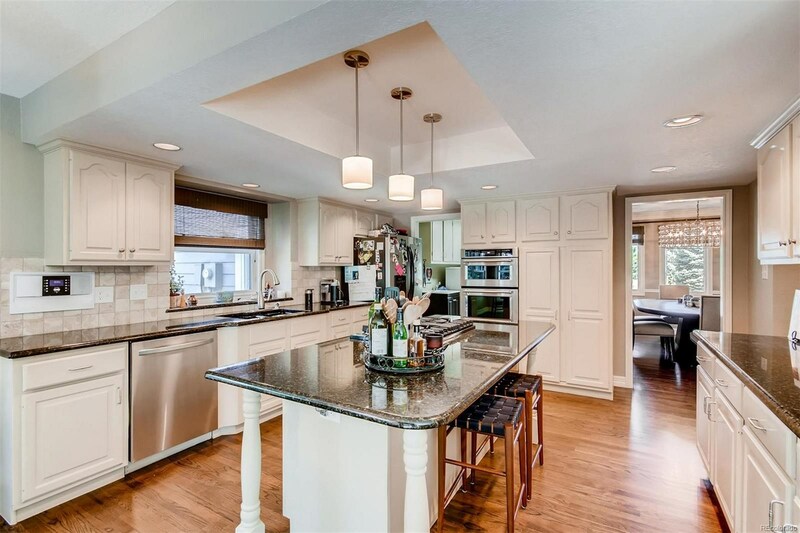 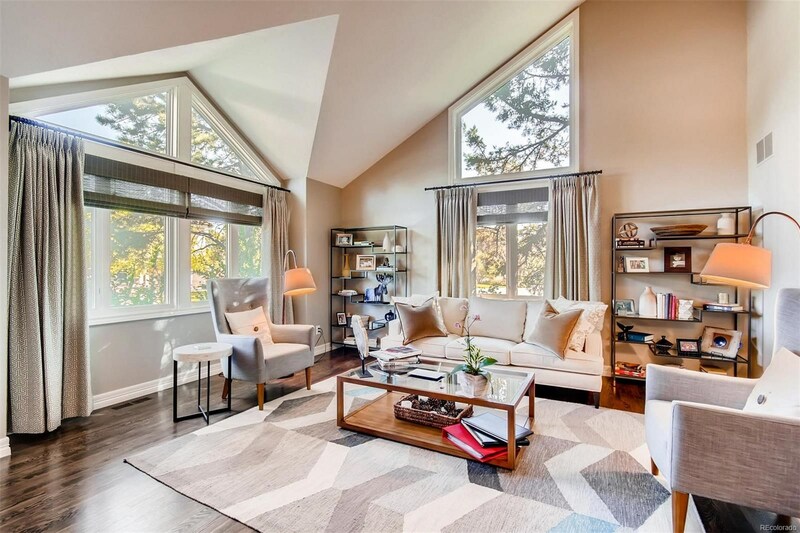 Rich dark hardwoods, SS appliances and granite counters offer high end details in this 3-level home. 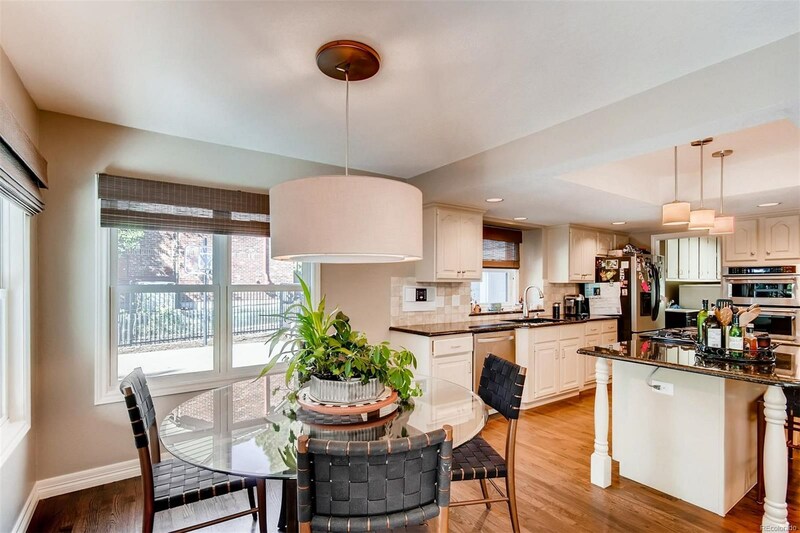 Large kitchen with Kitchen Aid appliances, eating nook that overlooks fenced backyard. 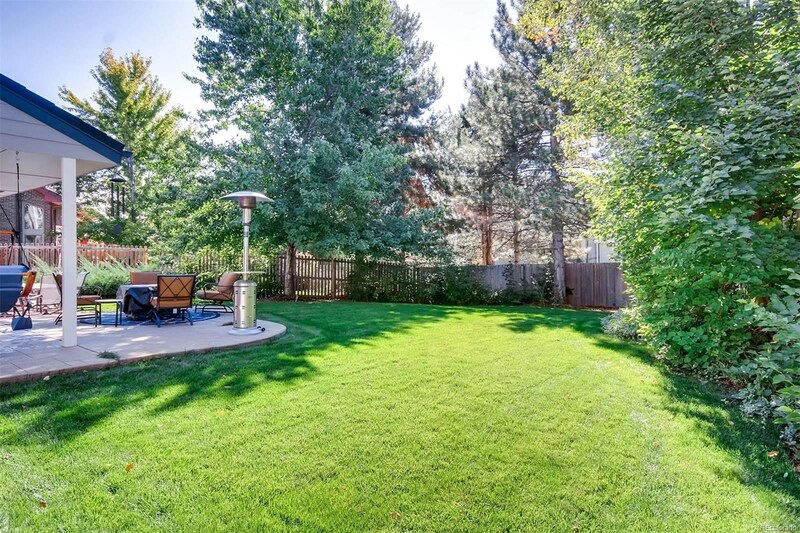 Stamped concrete patio and lush landscaping is private. 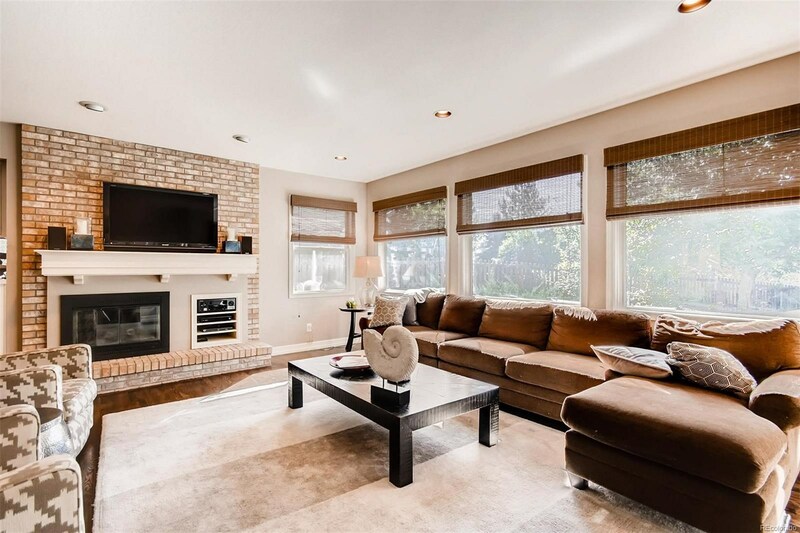 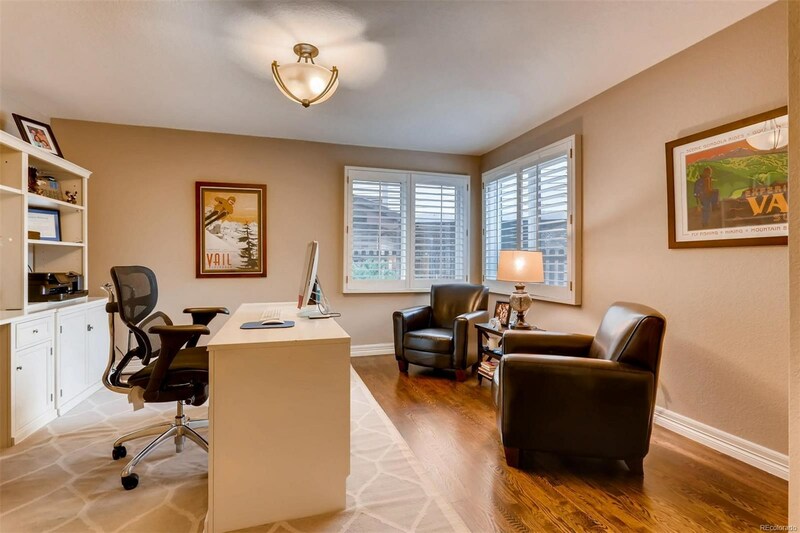 The family room has brick gas fireplace and adjoining office separated by wet bar. 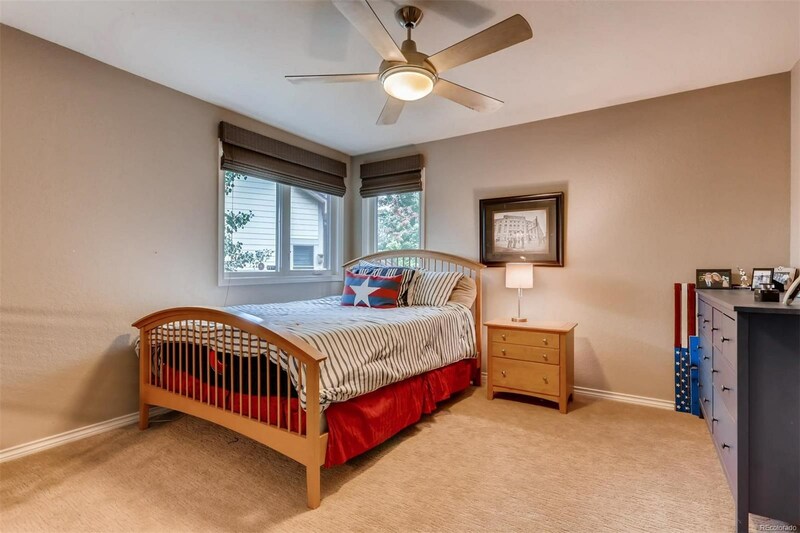 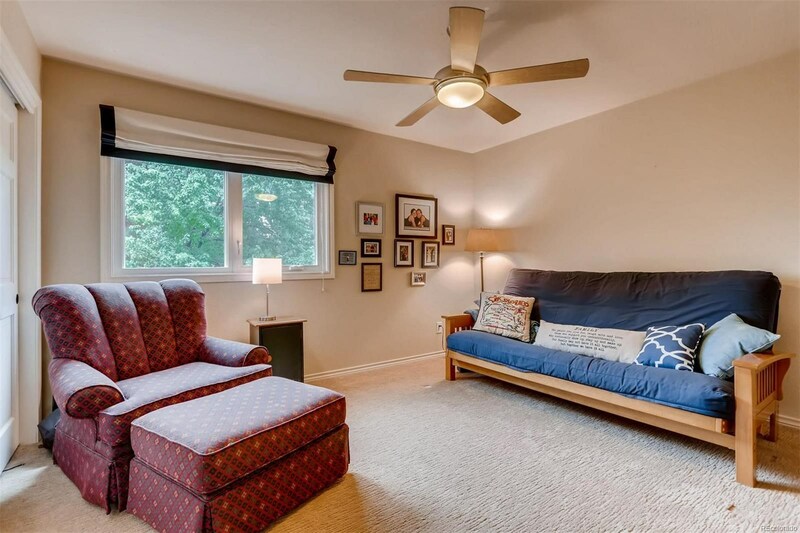 Upstairs, 4 bedrooms include a spacious master with 5-piece bathroom with walk-in closet and large tub. 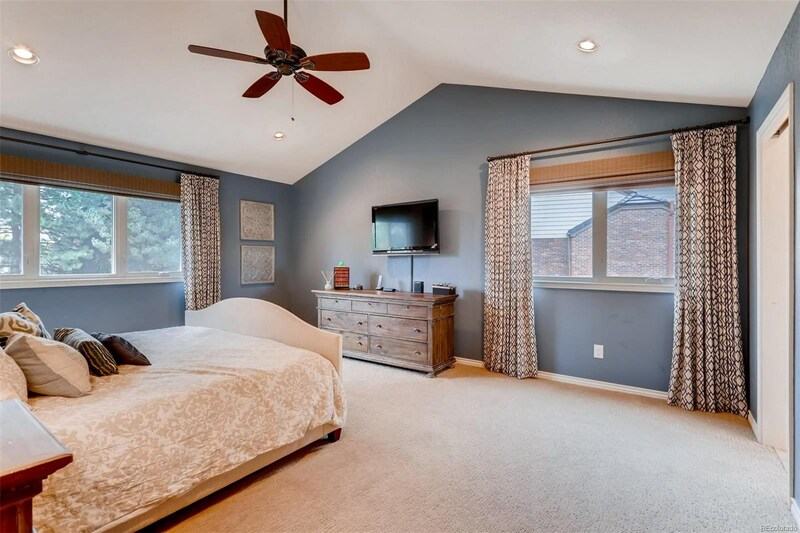 The basement offers a bedroom, bathroom, flex room and second family room with bar--great for entertaining or hanging out. 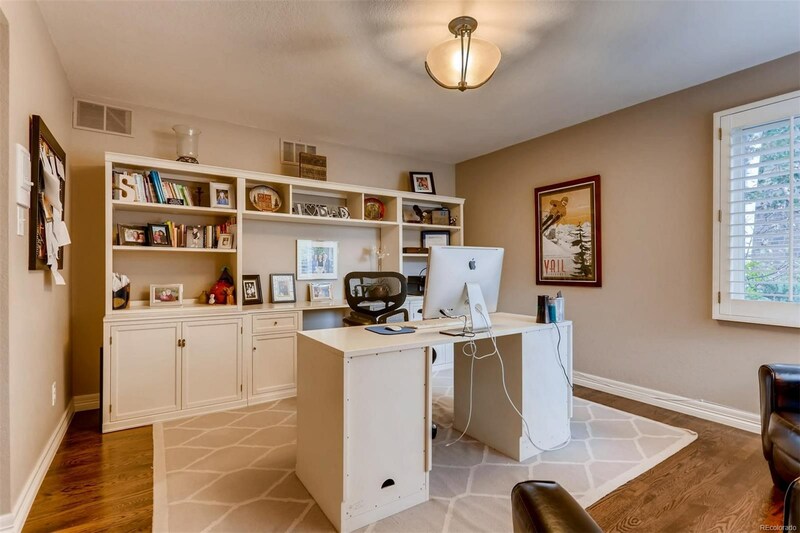 Mud/laundry room to 3-car garage is handy.